Recently a lot of homeowners choose window blinds over curtains and draperies. Aside from the fact that it can block direct sunlight from coming in and achieve maximum level of privacy for your room, one can also use window blinds to add style to your home. Among the many types of blinds, the wood blinds will always be a kind of window treatment that never gets old or out of fashion. Kitchen is the heart of the home where all the real action really happens, where every celebration such as welcome party, birthday, or any ordinary day’s kitchen is always everyone ends up gathering that’s why our client in Las Pinas City decided to make her kitchen look more comfy, creative and warm. Planning for the best window cover can be easy if you already knew what outcome you wanted to accomplish. 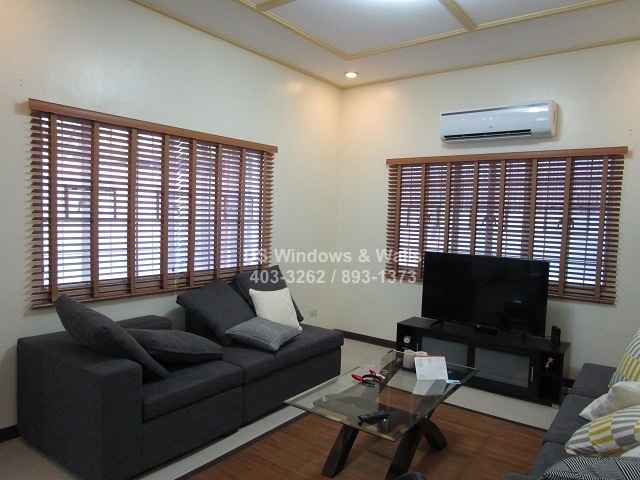 Like one of our client in Urdaneta Village, Makati City who opted for Faux Wood Blinds/ Foam Wood Blinds in her living room window. She needs something that can totally prevent and at the same time very easy to control when she wants some light in. 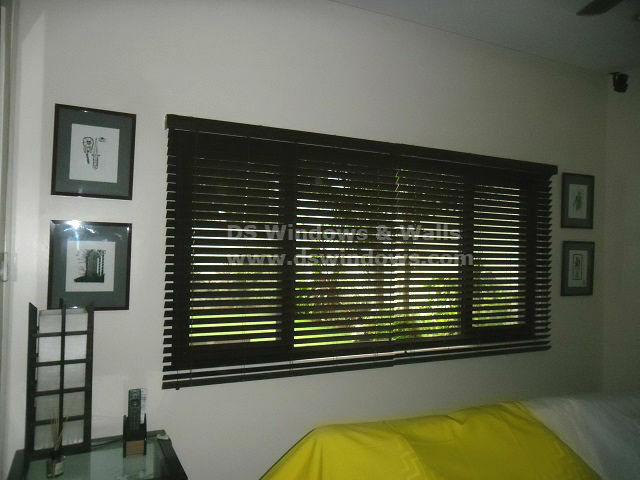 She selected horizontal blinds, which is Faux Wood Blinds since it’s still the best type of blinds when it comes to light control. Through its horizontal slats, it can create beautiful lighting effect, perfect for living room where you commonly spend more time when having bonding with your significant others. Faux wood blind is also one of the most durable blinds and a close imitation of Wood Blinds so it can also give a chic and elegant look into your window and the best window treatment when it comes to look and functionality. It is also one of the toughest blinds that can be installed in both humid and warm places because of its unbeatable moisture and heat resistance ability. 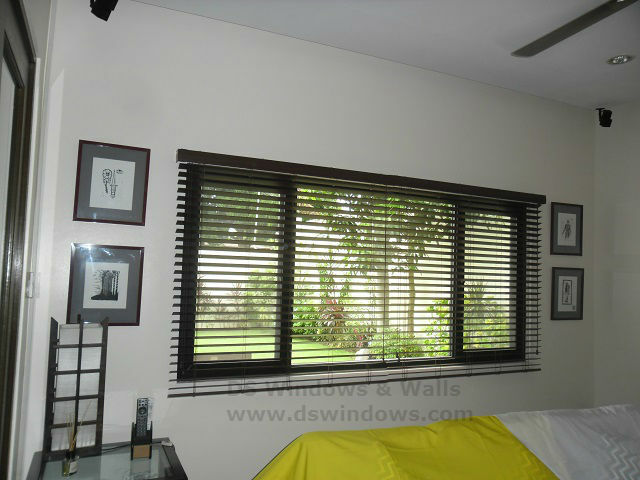 A beautiful window blinds with a great functionality in a small price is the best offer you can have for window cover. 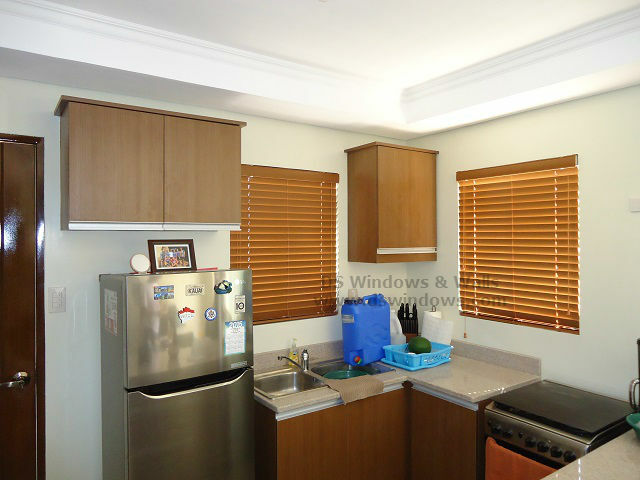 For more information about DS Windows & Walls’ products and services, please don’t hesitate to call us at (02) 893-1373 / (02) 403-3262 / 0916-311-3909 or email us at inquiry@dswindows.com. You can also personally see our products and swatches at 4th Level Waltermart, Makati City, 3rd Level Robinsons Metro East, Pasig City and 2nd Level Pacific Mall, Lucena City.